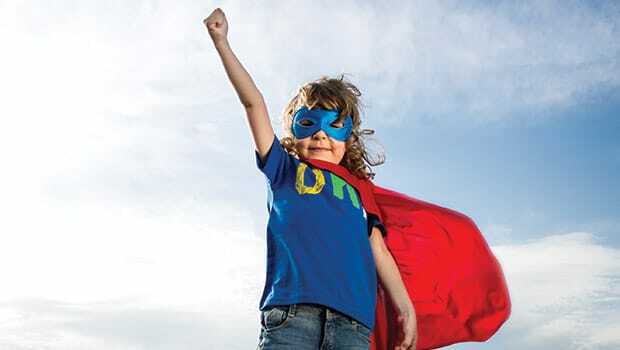 The children’s over-the-counter (OTC) healthcare market is witnessing something of a revival. Growing pressures on the NHS – including a limiting of its Minor Ailments Scheme and a shortage of GP appointments – is causing a seismic shift in the way parents treat their children’s health. A trip to the doctor in search of a ‘free’ prescription has for years been the cultural go-to for most parents looking for quick-fix solutions, but the tide is now turning, reports Mintel, and the stagnant OTC category witnessed 2.3% market growth during 2016, rising to £2.62 billion. “Brands that offer expert guidance and support to parents with poorly children are therefore likely to gain favour, whilst the formulation of remedies with more familiar and reassuring ingredients lists could help alleviate safety concerns over product content and function,” states Mintel’s February 2018 Children’s Healthcare report. “When it comes to illness, parents will spend on products to help their children feel better, and many are seeking out natural remedies and free-from formulations as safer alternatives to mainstream medications. At Abacus Health Store in Liverpool, a broad range of VMS is stocked, however the OTC needs of a customer’s child are treated as bespoke. “When it comes to supplements for infants, we mainly stock Natures Aid Kidz Multi-Vitamin & Minerals, and Vitamin D3,” says Una Hagerty, a member of the shop’s team. “We do also stock Sambucol, which is a liquid supplement, and Nature’s Plus Magnesium for Kids is very good. But we make our recommendations for supplement intake on a case-by-case basis, so it depends how old the child is and what they’re looking to take the supplements for – whether they’re having any health problems,” adds Hagerty. One of the biggest burdens on NHS resources is obesity. In June 2018, the Government updated its Childhood Obesity Plan with new proposals to its sugar tax which state that sweets and fatty snacks sold at checkouts and as part of supermarket deals will be banned in an attempt to halve childhood obesity in England by 2030. Tighter restrictions on junk food advertisements on TV and online are also planned, as well as mandatory calorie labelling on restaurant menus. The then Health Secretary Jeremy Hunt said the measures gave ‘power to parents to make healthier choices’. While these proposals are welcomed, there are other contributory factors of childhood obesity that should be taken into account, such as gut health. For kids, the gut’s main role is to regulate digestion (and keep things moving!) as well as to provide the immunity they need to fight off bugs, but it can also assist with weight loss. An unhappy gut in a child can lead to stomach aches and problems with the absorption of vitamins and minerals. Other symptoms, such as problems with sleeping, constipation, bloating or lethargy can often be caused by gut issues. The adage that prevention is better than cure certainly holds fast in this instance, and simple steps such as reducing processed foods, staying active, avoiding the overuse of antibiotics, letting children play in the sand and dirt and not worrying excessively about germs can help to keep their immune systems strong. But it’s also about having a healthy gut microbiome. For every human cell that is inherent to our body, there are on average ten microbes living in our gut, on our tongue and on our skin. These are generally either beneficial or harmless, but when the delicate microbiome goes out of balance, poor health kicks in. A healthy microbiome thrives on prebiotic and probiotic foods and fibre, but probiotic supplements can be a more manageable and fun way of achieving the end result. 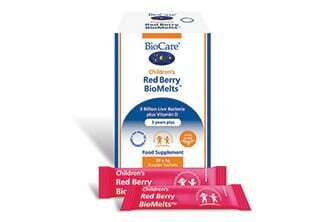 BioCare recently launched a new range called Red Berry BioMelts, designed to help support a healthy immune response in young and school-aged children (suitable from three years of age). BioMelts contain researched strains of Lactobacillus rhamnosus and Bifidobacterium lactis alongside a healthy dose of vitamin D, delivered in a xylitol-sweetened berry powder presented in single-serve sachets. Wild Nutrition’s Multi-Strain Biotic for children has been formulated to provide eight strains of beneficial flora specifically selected to support kids’ natural digestive environment, while Natures Plus Animal Parade Acidophikidz delivers friendly intestinal flora which provide the health benefits associated with gastrointestinal balance. The medical community is increasingly supporting the theory that an unhealthy gut microbiome can affect the brain and neurological development of a child. For instance, the intestinal microbiome can prompt immune cells to produce cytokines (substances that signal inflammation) which influence the neurological system. More and more research is now linking a poorly functioning gut microbiome to incidences of autism, ADHD, bipolar disorders, schizophrenia, dyslexia, learning and behavioural difficulties, and even mood disorders such as depression and anxiety, all of which are on the rise in children. In 2015 Place2Be launched the first Children’s Mental Health Week to support children and young people’s mental health and emotional wellbeing. Now in its fourth year, the theme in February 2018 was #BeingOurselves, encouraging young people to celebrate their uniqueness. While teenagers are more likely to experience depression than infants, generalized anxiety disorder (GAD) can cause young people to become extremely worried, and very young children, or children starting or moving school, may develop separation anxiety. Launched on the back of new research showing the efficacy of high-strength saffron (sourced from La Mancha, Spain) for nervousness and tension in children, The Naked Pharmacy has launched Saffrosun for Children, which contains vitamin D3 and B12, and is suitable for children aged six to 14. “As a natural pharmacist with 30 years’ experience, I am convinced of the mental health benefits from balanced diets and using high quality nutritional supplements for both adults and children,” says Saffrosun’s Kevin Leivers. 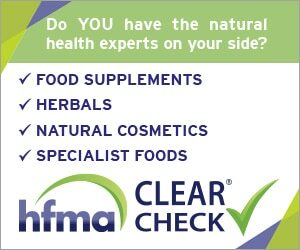 “Clinical research is now further supporting the use of targeted nutritional supplements for mental health. Containing the three required actives – saffranal, crocin and picrocrocin combined with vitamins B12 and D3 – Saffrosun is supported by two published clinical trials for adults and children focusing on symptoms of mood, nervousness and sleep. Other forms of stress relief come in the form of Badger Night Night Balm, which combines lavender and Sandalwood and has been specifically designed to calm children at bedtime, while Higher Nature’s new KIDS range of children’s supplements has been developed with taste and texture in mind, and includes a vitamin D spray, a chewable multi-vitamin, and a fruity omega-3 fish oil jelly. For Abaca Health Store, one of the key products generating sales at the till is Child Essences, a mind health range created by Bioforce, which Hagerty explains is specifically ‘for the unconscious mind’. “It’s all to do with behavioural issues, and how the brain affects unconscious behaviour,” he explains. Of course, nothing can replace the goodness of healthy nutrition, and American brand Sneakz has devised a way to make eating healthy fun for kids. Each Sneakz organic milkshake contains half the serving of kids’ daily vegetable intake. Now stocked in Whole Foods, Sneakz provides a simple blend of whole organic foods, including sweet potatoes, carrots, cauliflower, spinach and beets, with the aim of combining great taste with positive nutrition to help families eat better and enjoy their vegetables. While over-the-counter medications can give quick relief and help control symptoms of allergies and intolerances, they don’t get to the root cause. Natural remedies, on the other hand, can deliver fast and effective treatment, restoring balance to children’s immune health. Here we look at the top three complementary medicines retailers can discuss with parents on the shop floor. When it comes to seasonal allergies, watery eyes and itchy noses can be intolerable. Some find it helpful to add stinging nettles to their diets, as they have antihistamine properties. Alternatively, a study in paediatrics shows that acupuncture can significantly reduce allergy symptoms. Hindered by the fact that most kids are wary of needles, similar results can be achieved via the use of laser, tuning forks and pressure. Homeopathy is a safe, effective and gentle form of medicine. It uses extreme micro doses of a substance – usually herbal – to stimulate healing, and is even safe for babies. 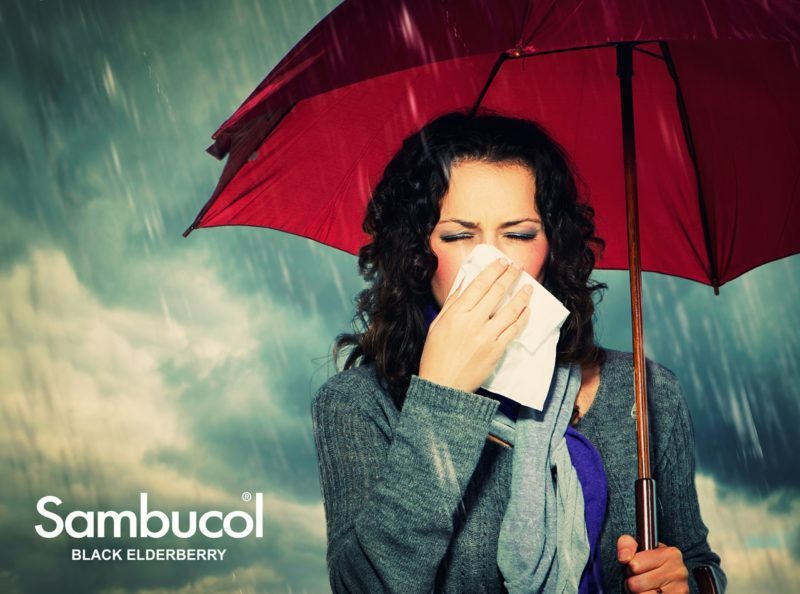 While it’s best to work with a practitioner, two remedies that may help with allergy symptoms are Allium cepa, which can help with attacks of sneezing, and Kali bichromicum, which can aid persistent sinus congestion and thick nasal discharge. Managing a food allergy in children or babies can be stressful for both child and parent. Christine Bailey’s new book (coming out in August) entitled My Kids Can’t Eat That: How to Deal with Allergies & Intolerances in Children covers everything from why an intolerance may have developed, through to diagnosis. Offering advice across the board, including a section on working with nurseries and schools, eating out, shopping, substitute ingredients and meal planning, it also contains over 60 healthy, low-sugar recipes to suit the whole family, as well as an important section that addresses underlying imbalances in the body that can increase the risk of developing allergies and how these can be addressed with diet and supplements. It also includes the latest research on pregnancy, weaning, environment, gut health, and crucial vitamins and minerals that modulate the immune system. AQUA CARPATICA KIDS- EXCLUSIVELY LAUNCHED IN THE UK ACROSS WHOLE FOODS MARKET STORES AQUA Carpatica Kids still natural mineral water is naturally pure with virtually no nitrates (0.7 mg/l), with a low mineral content – ideal for children, naturally very low in Sodium (0.6 mg/l), sourced from the heart of the Carpathian Mountains. The bottle’s colorful design makes drinking water fun and easy. It is BPA-free and 100 % spill proof, therefore easy to use for small hands. The sippy cap with silicone valve especially designed for toddlers automatically seals between sips to ensure no spills. 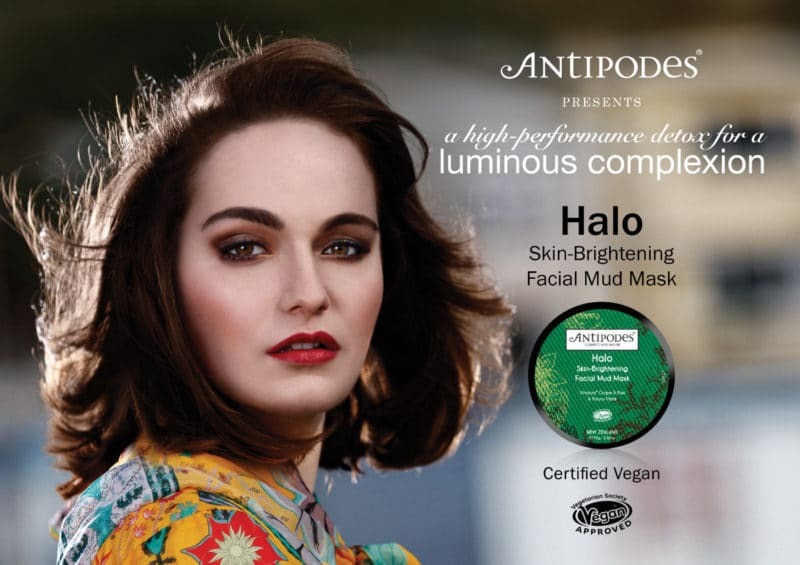 AQUA Carpatica range is available in more than 1000 independent stores in the UK, including Harrods, Whole Foods Market, As Nature Intended, Revital, Simply Fresh etc. Coughs and colds are the most common illnesses in the UK, with children suffering up to eight a year – and there is no cure. 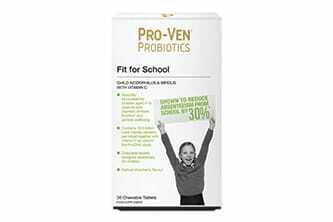 Pro-Ven Probiotics Fit for School chewable tablets have been specially formulated for children aged 4-16 years old to help maintain immune function – the tablets have been shown to reduce the number and duration of URTI’s, absenteeism from school and antibiotic prescriptions. Fit for School chewable tablets have a delicious strawberry flavour and no nasty additives. The combination of 12.5 billion unique Lab4 acidophilus and bifidus friendly bacteria with vitamin C support general health and immune function. 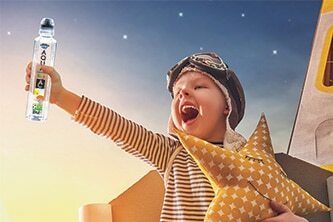 KidzProbio™ “Supports digestive health and natural immune defence” Introducing KidzProbio™ tablets into the child’s diet, helps to enhance the absorption of vital nutrients, assisting the digestive system and simulate the body’s production of immune-boosting substances. 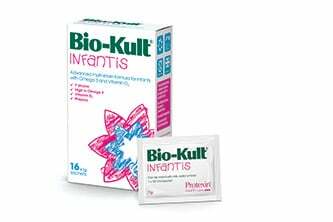 It is particularly beneficial, if the child has been on antibiotics, as it is extremely important to replenish the good bacteria lost by taking a quality probiotic supplement. KidzProbio™ tablets contains 2 billion, high potency ‘viable’ Probiotic blends, fortified with Prebiotics for optimal benefit, acid and bile resistant strains, growth and development. 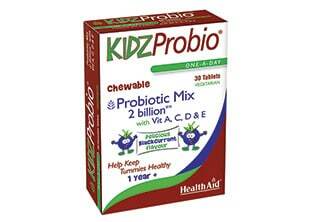 KidzProbio™ retails at £10.99 for 30 tablets. Contact HealthAid Ltd on 020 8426 3400 for purchase and stockist information or visit www.healthaid.co.uk. Having the optimum balance of microflora is important for everyone, but especially important from birth to give infants the best start in life. Over 70% of immune cells are located within the gut* and their development in infants is profoundly influenced by the gut flora. * Research indicates that there is a ‘critical window’ in the first 1000 days of life, in which the microbiome can significantly affect the development of a child’s immune system, with potential knock on effects for their future health. * Encouraging a healthy bacterial balance during this window (and throughout childhood) is therefore crucial. 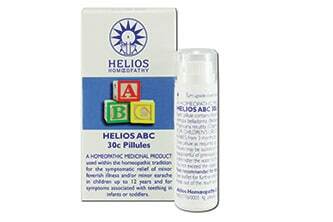 Helios ABC forms part of an award winning range of homeopathic combination remedies. ABC contains Aconite, Belladonna and Chamomilla and has a long history of traditional use to bring symptomatic relief of minor feverish illness and/or minor earache in children and for symptoms associated with teething in infants or toddlers. Attractively packaged the remedy comes in lactose free, sucrose pill form in our easy to use single dose dispenser. For details of ABC and other remedies in the range covering Hay Fever, Injuries, Sleep and Stress Relief please contact us. 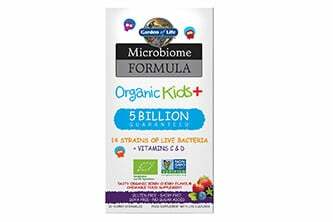 Organic Kids+ is a unique ‘shelf stable’ formula specifically designed for children over the age of 4. With an exceptionally diverse blend of 14 strains of live bacteria and a guaranteed potency of 5 billion CFU per serving, it contains clinically studied strains providing immune and digestive support. Discover this 3-in-1 bespoke USDA and EU certified organic formula, Non-GMO project verified with wholefood Vitamin C and D. Each berry flavoured chewable provides certified organic prebiotics, suitable for sensitive tummies and devoid of fructo-oligosaccharides. Free from artificial ingredients, sugars, sweeteners, dairy, soy, gluten, animal and non-organic produce, Organic Kids+ is the formula of choice. For children from 4 to 14 years of age. 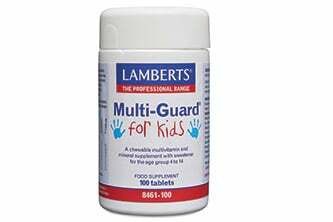 MultiGuard® for Kids remains one of the best children’s formulas in the UK, providing useful levels of all the important vitamins and trace minerals. We have developed this formula using micro-encapsulated nutrients (that masks the flavour of the minerals), plus natural forest fruit flavour to produce chewable tablets that children readily accept. We use natural Xylitol, so the formula is aspartame free and sugar free so will not contribute to tooth decay. The tablets are carefully formulated for ages 4-14 years, with one tablet per day for children up to 10 years and two for the older group. 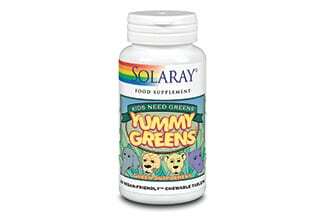 Yummy Greens Chewable tablet is the new supplement for Kids not so perfect diets. It is a unique combination of organic wheat grass barley grass and alfalfa plus chlorella spirulina and kelp all in one delicious fruit punch flavoured chewable tablet specifically formulated for kids. Feeding minds. With the ongoing debate into the nutritional quality of school meals it’s even more important that children extract the most from their food. A new study conducted on Bio-Strath (Strath) has shown remarkable results on the uptake on nutrients in the digestive system. 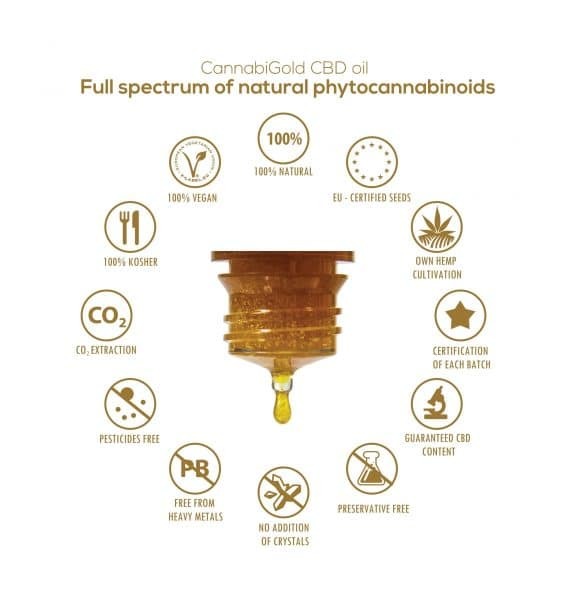 The scientifically accepted in vitro study demonstrated that when Strath liquid or tablets where combined with vitamins and minerals the level of bio-availability increased by up to 10 times. 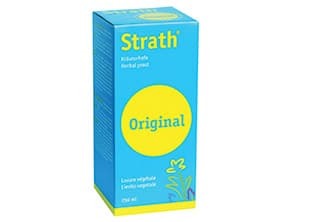 Previous studies on Strath have demonstrated that children perform better and lose fewer days from school when taking a daily dose of Strath. Synerbio Mother and Baby Powder provides Lactobacillus rhamnosus GG, the world’s best documented strain of good bacteria for use by mother and infant. This GG strain of L rhamnosus has been scientifically studied and well documented for use in pregnancy and infants. This formula provides 10 billion viable organisms in a base of the unique Prebiotic FS2-60 which offers full-spectrum prebiotic oligosaccharide and plant-derived inulin. Dairy-free. Part of the 200+ range from the ethical vitamin company, Viridian Nutrition, founded on the principles of Purity, the Environment and Charity. Dedicated to the continued success of the specialist health food store. 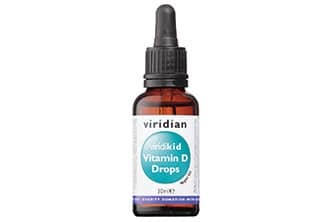 ViridiKid Liquid Vitamin D Drops in an easy-to-use dropper bottle. Plant-source vegan Vitamin D3 (Cholecalciferol) from lichen, in a base of sunflower seed oil and natural orange oil. Vitamin D contributes to the maintenance of the immune system and supports normal bones, teeth and muscles. Each 0.5ml provides 400iu of vitamin D3. Suitable for children aged 6 months and upwards. 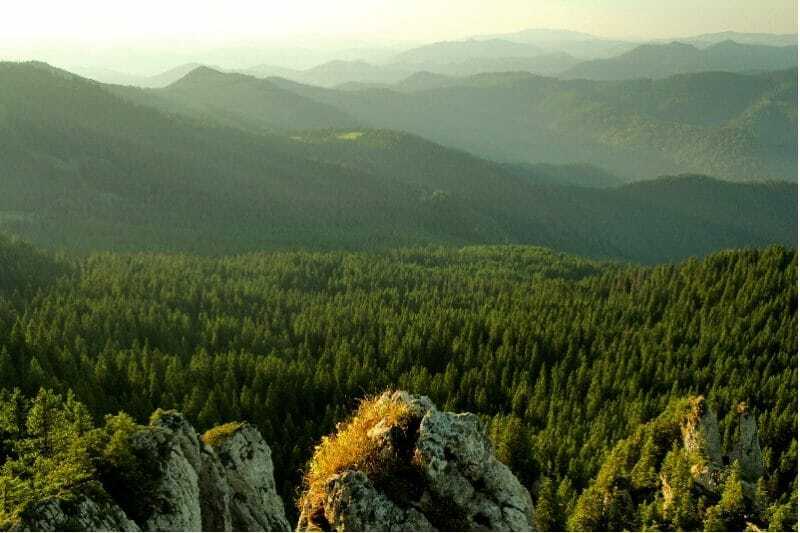 Part of the 200+ range from the ethical vitamin company, Viridian Nutrition, founded on the principles of Purity, the Environment and Charity. Dedicated to the continued success of the specialist health food store. No sugars, artificial flavourings or colourings, just pleasant-tasting Organic ViridiKid Omega-3 Oil. A blend of hemp, flax, pumpkin, avocado with orange and vanilla oils. 100% active ingredients, no nasties whatsoever. 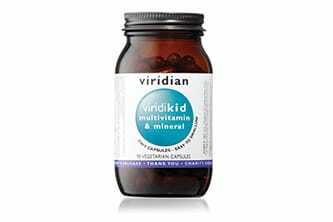 Partner with ViridiKid Multivitamin & Mineral capsules for the optimum vegan supplement programme for children. Certified organic by the Soil Association. Part of the 200+ range from the ethical vitamin company, Viridian Nutrition, founded on the principles of Purity, the Environment and Charity. Dedicated to the continued success of the specialist health food store. 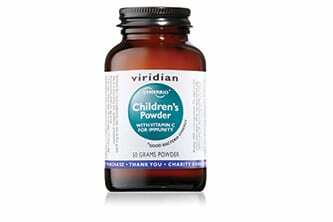 Synerbio Children’s Powder is an expert formulation comprising good gut bacteria with added ‘prebiotics’. It is a blend of four strains of the good gut bacteria species Lactobacillus and Bifidobacterium, with a total viable count of 2 billion per serving. The unique Prebiotic FS2-60 offers full-spectrum prebiotic oligosaccharide and plant-derived inulin. This formula also includes 50mg of buffered Vitamin C per serving. Dairy-free. Part of the 200+ range from the ethical vitamin company, Viridian Nutrition, founded on the principles of Purity, the Environment and Charity. Dedicated to the continued success of the specialist health food store. 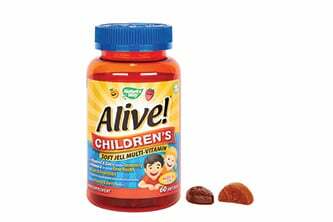 Clean label, additive-free supplements for children. No added sugar, aspartame or other sweeteners, no added colourings, flavourings, binders (glues), coatings or hidden ingredients. In an easy-to-swallow mini veg cap, this combination of vitamins and minerals has been designed to supplement a healthy diet for kids aged 2 to 14. 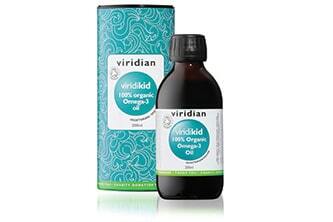 Complement with the pleasant-tasting Organic ViridiKid Omega-3 Oil for the optimum supplement programme for children. Suitable for vegans. 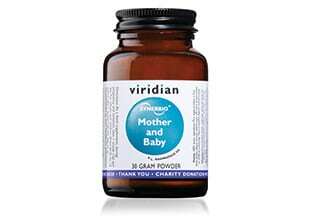 Part of the 200+ range from the ethical vitamin company, Viridian Nutrition, founded on the principles of Purity, the Environment and Charity. Dedicated to the continued success of the specialist health food store.